BasementBro is a home renovation company in the Greater Toronto Area specializing in expert, affordable basement remodels and repairs. In a crowded market where some companies are unfortunately less than honest, BasementBro needed a logo and branding that would emphasize their dedication, expertise, and reliability. 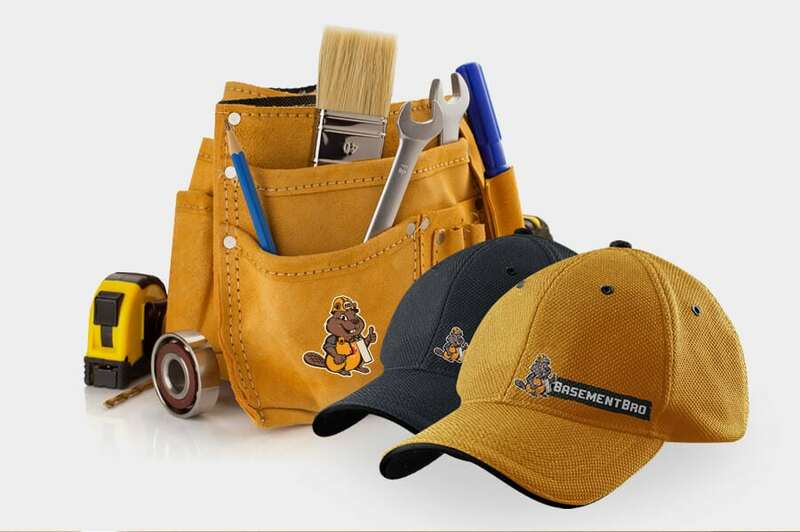 Beavers are masters of construction, so what better logo for a home renovation company? They also represent hard work (imagine chewing down all those trees!) and are symbolic of Canada, so it seemed like the perfect choice for a hardworking, professional Canadian construction firm. 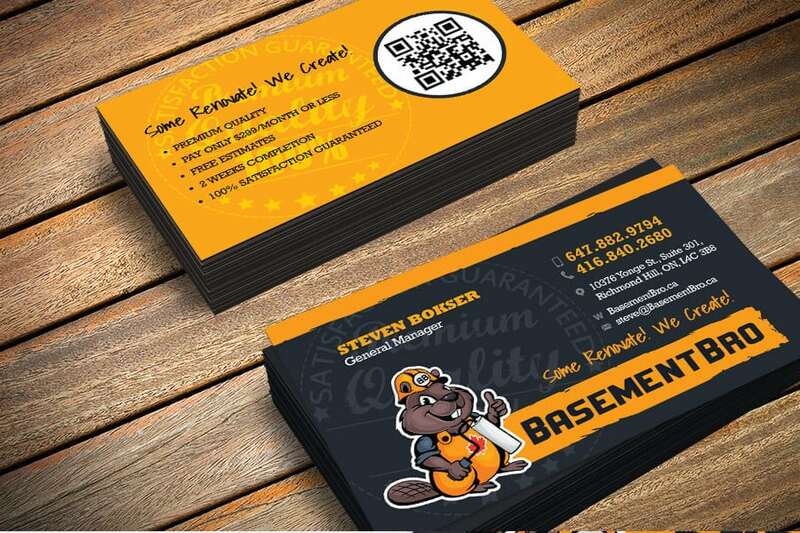 We opted for a cartoonish beaver to evoke the friendliness of the BasementBro team. Construction gear emblazoned with a maple leaf emphasized the nature of the company as Canadian builders, and a paint roller alludes to home renovation and remodeling. 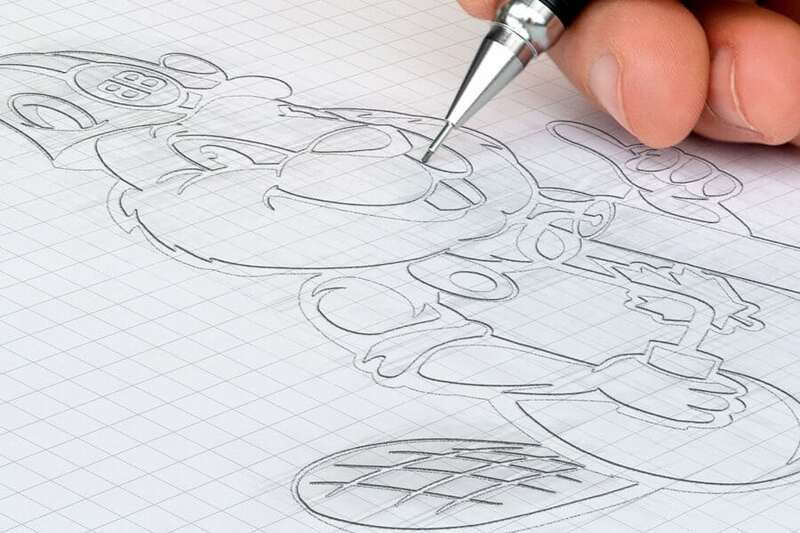 Finally, we had the beaver give a thumbs- up to reassure consumers that this is a quality, professional brand they can trust. With a recognizable (and adorable!) logo in place, we could help BasementBro procure a whole range of products to promote their brand and solidify their message in the minds of consumers.